On Saturday, March 30, the MVS middle school quiz bowl team competed at the Future Stars Competition hosted by Western Reserve Academy (Hudson, OH). MVS finished the day with a perfect 10-0 record to claim the middle school tournament championship. Eighth grader Andrew Holzinger was the tournament’s leading scorer with 85.71 points per game. Earlier this month, the National Academic Quiz Tournaments, one of the nation’s premier academic competition organizations, designated both the middle and upper school quiz bowl teams at MVS as their Teams of the Week. The middle school team was selected for winning the Western Reserve Future Stars Competition, and the upper school team was selected for winning the Buckeye Spring Tournament at The Ohio State University. MVS became the first program ever to have both their MS and HS teams recognized in the same week by NAQT. The MS and US quiz bowl teams both attended the NAQT Ohio State Championship Tournament at Olentangy Berlin HS last Saturday. The US team (Max Mader, John John Groger, William Groger, Amay Kejriwal) ended up finishing second in the state after advancing to a best-of-three final against Beavercreek and finishing with 1 win and 2 losses. The total record for the US team at NAQT State was 13-2. It is the first time in school history that MVS has advanced to the finals of the NAQT high school state championship. The MS team (Andrew Holzinger, Arshaan Kahlon, Hannah Marlowe, Lekha Choudary, and Dhruv Sadhu) won the state championship with a record of 8-1. The team took a playoff loss to defending champion Copley-Fairlawn MS, then fought its way out of the losers bracket to force a rematch with Copley, which MVS won 605-140 to claim the title. 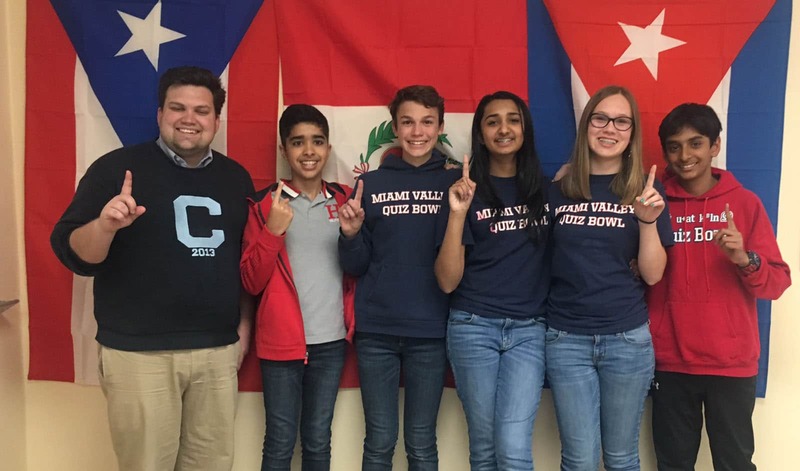 MVS’s middle school quiz team has now won four of the last five NAQT state championship tournaments. Until they lost to Copley in Round 6 of the NAQT State Championship, the MS A team was undefeated against middle school competition this year. The current season record for the MS A team is 48-1. The upper school team will return to action at the NAQT Small School National Championship Tournament on May 4. The middle school team’s next tournament will be the NAQT Middle School National Championship Tournament. A very special thank you and congratulations to MVS Quiz Bowl Team coach Tyler Benedict!